A long day of travelling: depart at 8am; coach to Glasgow; train to Newcastle via Carlisle; arrive Newcastle 3.30pm. 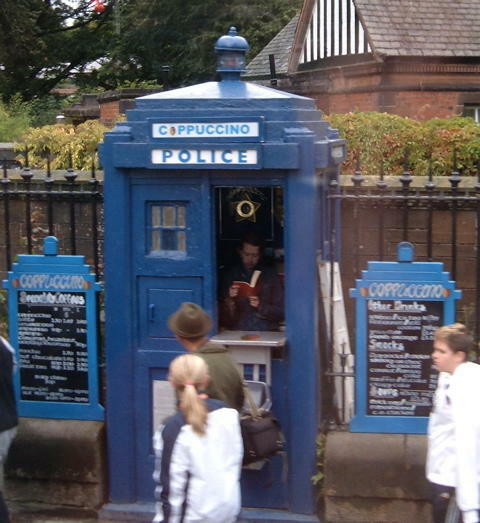 A mometary highlight was this converted police box on the outskirts of Glasgow, now cheekily selling coffees as ‘Coppuccino’. Sadly we couldn’t leap out and buy one so we had to wait for a rather less original Costa at Central Station. In Newcastle C+N met us at a convenient metro station and took us to Seven Stories. 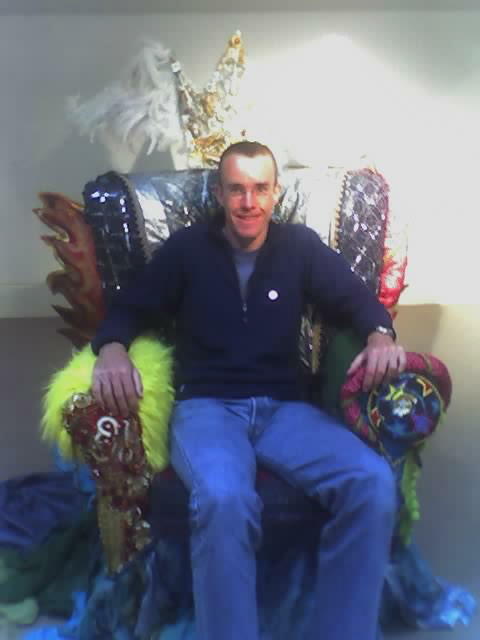 Graham got a row for taking pictures,but not before he’d snapped me in the story teller’s chair. It’s a great interactive musuem and center for children’s books. We followed up with more coffee and cakes at a Cafe Nero, and tea and more cakes at F’s. The day ended in Gateshead at C+E’s place for much pasta and pre-race preparations. Copyright © 2005 Three Sheets to the Wind. Powered by WordPress and A Dream to Host theme by Art of Blog.